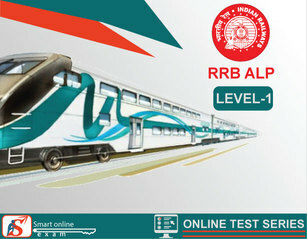 Railway Recruitment Board has released various vacancies to recruit young & talented aspirants for the post of Assistant Loco Pilot (ALP).The RRB ALP & Technician selection process consist of 4 stages. The Job Profile of Loco Pilot is Fine tuning the locomotive, calling out signal once sighted, Attending to mirror repairs of the locomotive, Regularly checking the efficiency of the locomotive. The career Growth of RRB ALP is Assistant loco pilot to senior loco pilot to loco pilot to Power controller / Crew controller / Loco foreman. Quantitative Aptitude :- Number System, Decimals, BODMAS, Fractions, LCM, HCF, Algebra, Ratio and Proportion, Percentages, Mensuration, Time and Work, Profit and Loss, Age Calculations, Time and Distance, Simple and Compound Interest, Geometry and Trigonometry, Elementary Statistics, Square Root, Pipes & Cistern, Calendar & Clock.. Reasoning :- Decision Making, Similarities, Arithmetical Reasoning, Problem-Solving, Differences, Analysis, Visual memory, Verbal and Figure Classification, Analogies, Space Visualization, Arithmetical Number Series, Relationship Concepts, Observation, Judgement, Discrimination etc. General Science :- Environmental Studies, Biology, Chemistry, Physics. GK & Current Affairs : Science & Technology, Sports, Culture, Personalities, Economics, Politics.